Dr. Blum, the Clinic founder and medical administrator, grew up on a farm west of Kingsville, MO. and graduated from KHS as valedictorian of the largest class that has ever graduated to this date. Dr. Blum then went to the University of Missouri College of Agriculture where he majored in animal science with emphasis on beef cattle production and management through the honors program and received his B.S. Ag. degree in 1984. While at the College of Agriculture, he was very active with the Block & Bridle Club, the Collegiate 4-H, the Pre-Vet Club, and other organizations. He was selected and entered the College of Veterinary Medicine in 1983 and did the last year of his B. S. degree and the first year of his doctorate program at the same time. During his time in the CVM, he received the Kintner Award For Excellence In Pathology and several other awards and was active in the Student Chapter of the American Veterinary Medical Association and the American Association of Bovine Practitioners. He received his D.V.M. 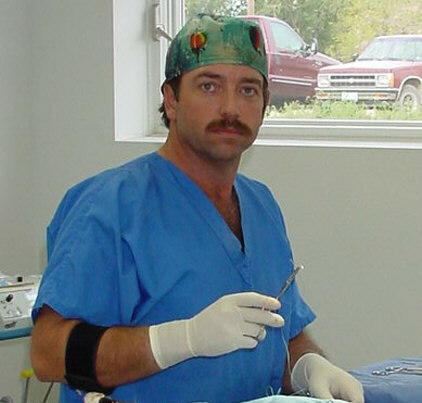 degree in 1987 and accepted a position with the Mexico Animal Hospital in Mexico, MO. While in Mexico, Dr. Blum was active in the Missouri Veterinary Medical Association and held several offices in the North-East District. He was also very active in the community, holding several offices with the Mexico Jaycees and also a state level office with the Missouri Jaycees. Seeing a need in his home area, Dr. Blum returned to Holden to start this practice in the fall of 1990 and has continued to be active in the MVMA and has held several offices in the West-Central District. He has also been very active and held multiple officer positions with the Johnson County Cattlemen's Association. 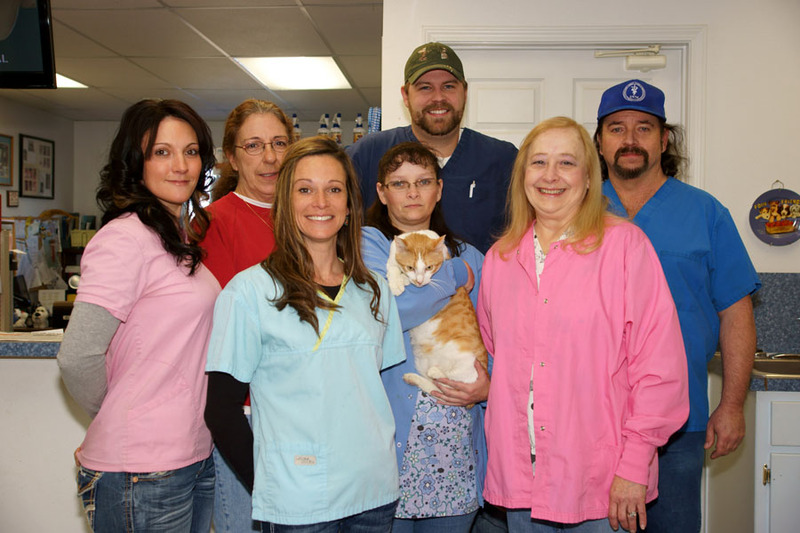 Dr. Blum is very dedicated to continuing education and attends over forty hours of classes every year and is part of the Academy of Veterinary Medicine. Dr. Blum works with all species and all areas of practice, but has special interests in small animal surgery, cattle production medicine, and surgery of large exotic cats. He has a high level of expertise, skill, and interest in surgery after studying under one of the most world-renowned veterinary surgeons and editor of the surgery textbooks. Dr. Blum has in recent years begun to do referral surgeries for other surrounding practices that lack the facilities, instrumentation, and expertise to perform certain procedures. This surgical interest is also extended to include large exotic cats such as cougars, lions, and tigers that are refused by most surgeons. He especially enjoys the challenges of emergency and reconstructive surgery of trauma victims. Dr. Blum also has a keen and lifelong interest in cattle production. He grew up managing the cattle operation and cattle show activities of the family farm and received his BS in Agriculture studying beef cattle production and management, before entering veterinary school and getting his DVM degree. He has continued to spend many of his continuing education hours studying new techniques and programs for cattle reproduction, health maintenance, and management.